The evening was much better, celebrating with the neighbours in Bruges. A young couple were passing by and joined us! 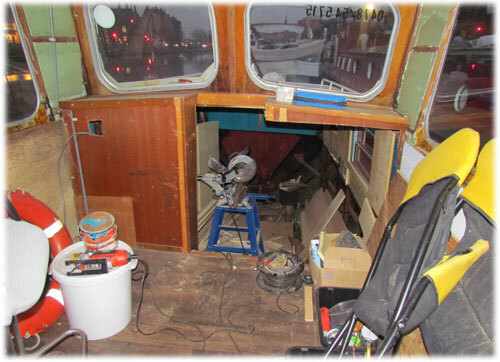 28th December 2011 – In the morning I removed the floor in the wheelhouse. 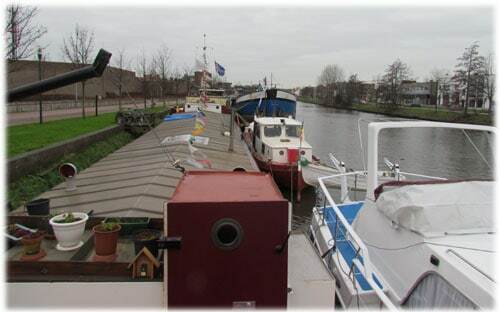 Together with my neighbour, we put the metal sheets aboard the Hornblower. If I need them, at least, they are inside and easier to get in position. They have a weight of 90kg each and very heavy to handle. 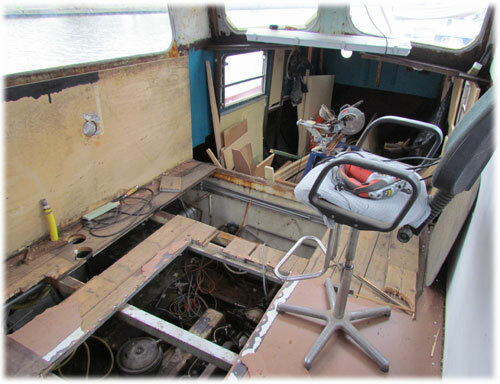 In the afternoon, I started cleaning the bilges. There is so much that needs to be done. Actually, I just don’t know where to start. 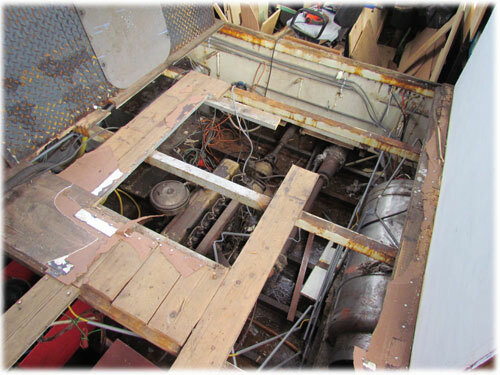 The tanks need to be mounted to the ceiling, the bilges need a good clean, the engine is dirty, there are hundreds of meters of electricity wires hanging around, there is plenty of wooden floor left in the engine room, etc…. 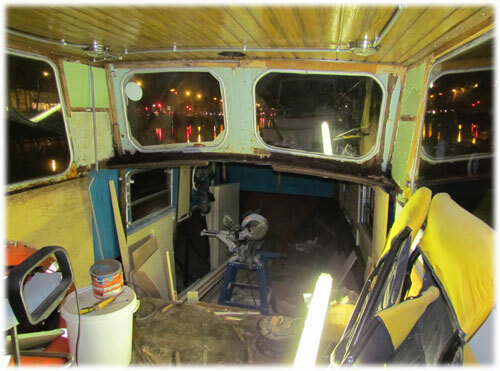 28th December 2011 – The last two days I worked on the Hornblower, cleaning the engine room. 25th December 2011 – A Merry Christmas to everyone! 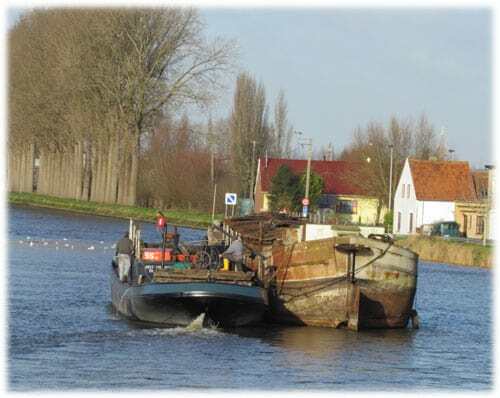 24th December 2011 – Friends called me they had seen some nice ships coming to Bruges. They recommended me taking the car and have a look at them, so I did. 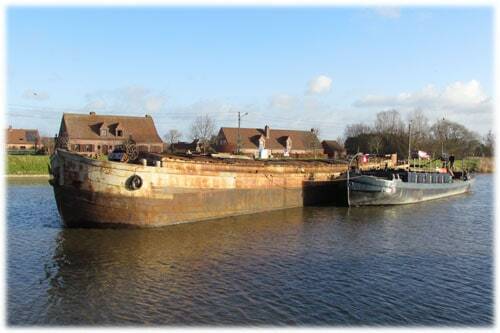 It was a Steilsteven built in 1906 at the Boelwerf in Temse and a spits barge from 1893 built in Bruges. 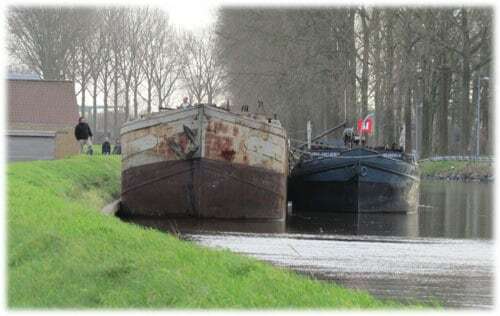 Both ships are restoration projects. 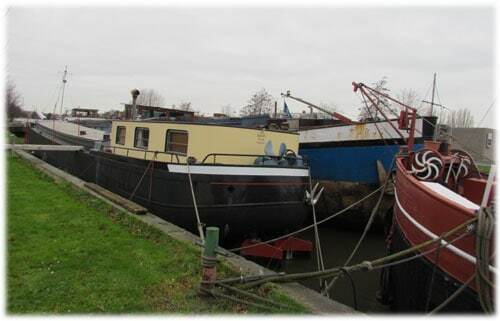 22nd December 2011 – My ex neighbour from Sluiskil who has a commercial barge is coming over for the Christmas period with his barge and family. It will be a great Christmas period! Talking about the early days, having drinks and making fun in Bruges! 21st December 2011 – It has been raining for over a week. Water level has raised and lowered on different times. 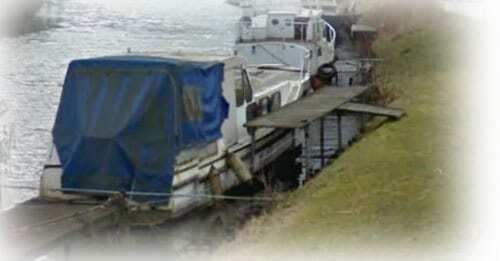 It has been a difference of nearly two meters between low and high water. This means we have to adjust our ropes nearly every day. When the water is on its highest point, rubbish that has been floating around gets stuck on the wooden supports on land. We need to clean this. If we don’t, it starts smelling badly! 17th December 2011 – It had been raining all week. There was a lot of wind. 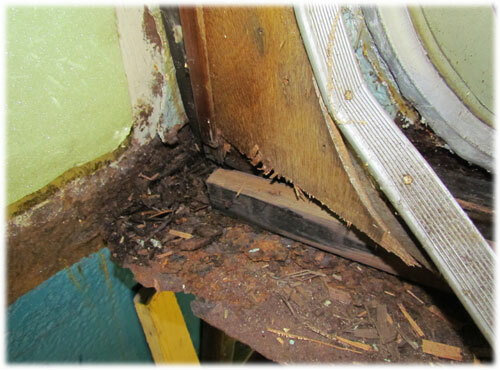 The only water that came in was through the wheelhouse doors and windows. 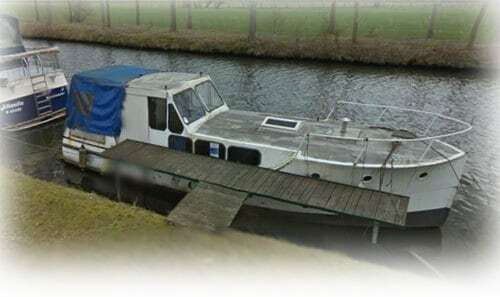 It felt good to know the boat is dry! In the morning I did some T&G in the living room, in the afternoon I went to pick up my new car. I went for a small van. More useful then an Opel Corsa. 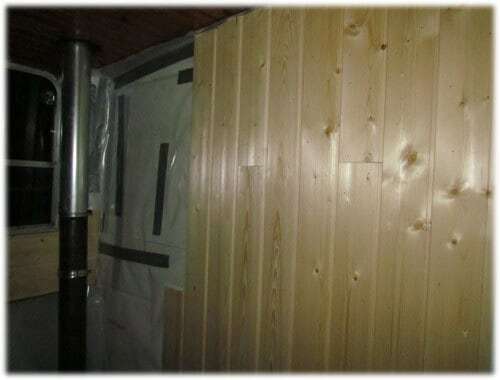 11th December 2011 – Most of they day was spent on the t&g wood in the living room. There is always something I’ve ran out of. It is always something: tape, nails, wood, patience, …. 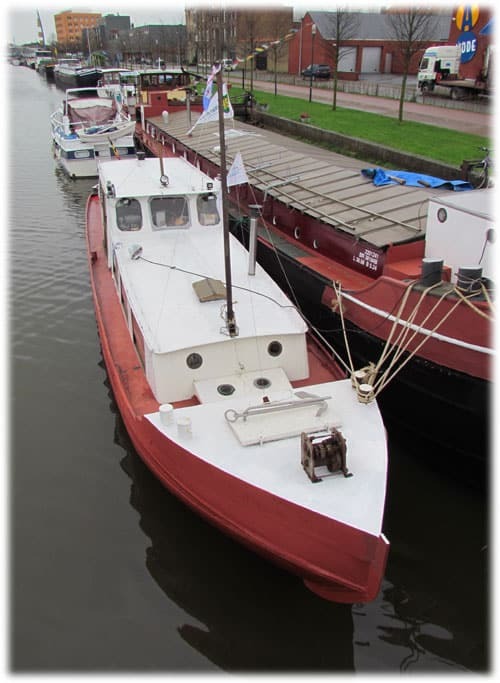 11th December 2011 – Google Streetview can be a good utility to track down some boats. 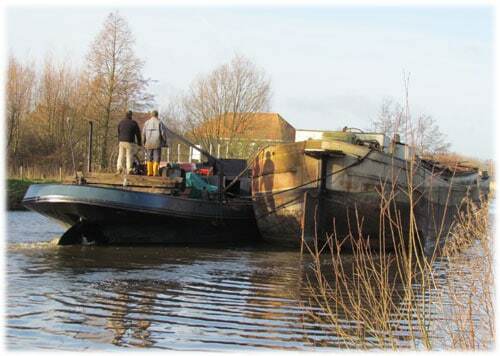 Here are two pictures of the bakdekkruiser Escapade in Wachtebeke. 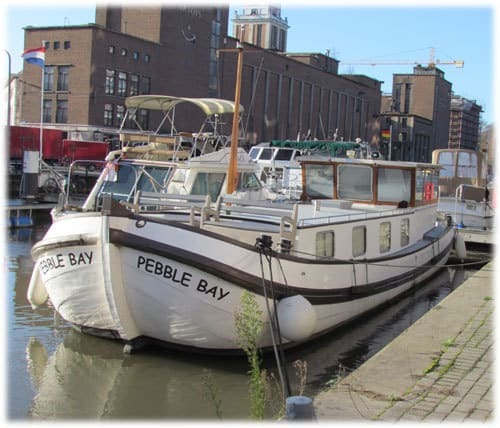 9th December 2011 – I had to be in Leuven for a concert in the evening. 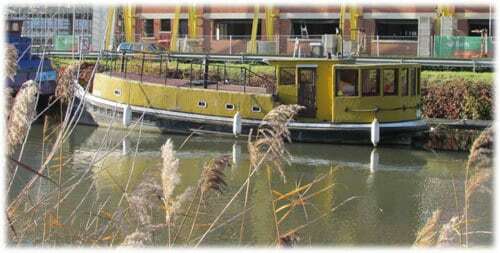 I decided to get their a bit earlier to look for some houseboats. 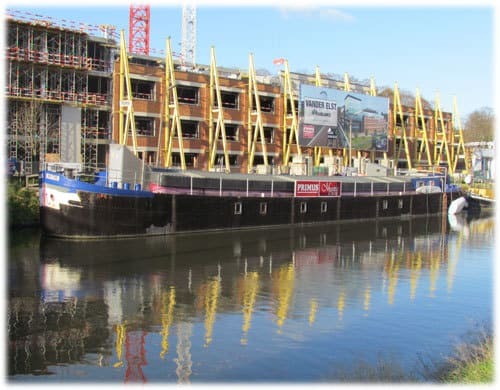 7th December 2011 – I mainly worked with t&g on the Hornblower. If you like this kind of style, it goes quickly and gives a nice finishing touch!